Erika Price Handcrafted Artisan Jewellery: Where Did You Get That Hat? Did you go to the Royal Wedding? I think my invitation must have been lost in the post! Perhaps you saw it on TV, or went to one of the street parties and events that were held all over the UK. Some crazy people I know even held their own Royal Wedding Fancy Dress Party! Here are two of the protagonists (see right) Don't they look splendidly regal?! Even though I don't usually watch much TV, I did manage to see some of the ceremony live. Catherine looked stunning, and living close to Cambridge I'm also delighted that we now have our very own Duke and Duchess - not that I'm expecting to see them around very often, LOL! By tradition, no-one should upstage a bride on her wedding day, and certainly no-one looked more beautiful than she did. I'm not into celebrity culture so didn't recognise most of the people present, so I'm ashamed to say that at the time I had no idea who Princess Beatrice and Princess Eugenie were, though I couldn't help noticing their outfits. One was wearing a rather unflattering dress, and the other appeared to have an octopus on her head. But then, us Brits are well known for our eccentricity! My first thought was "what the bl**dy hell is that on her head?" My mother would never have let me out of the house dressed like either of them, and its rather sad that no-one had the guts to suggest they wore something more flattering. Some unkind people are saying they looked like the Ugly Sisters from Cinderella, which is rather cruel because no-one can help their looks or their shape. But nevertheless, slavery to fashion can make the most beautiful person look silly, and I can't help thinking that someone with a bit more dress sense could have advised them? Anyway, back to "that hat", which must have obscured the view of those unfortunate enough to be sitting behind Beatrice in the Abbey. 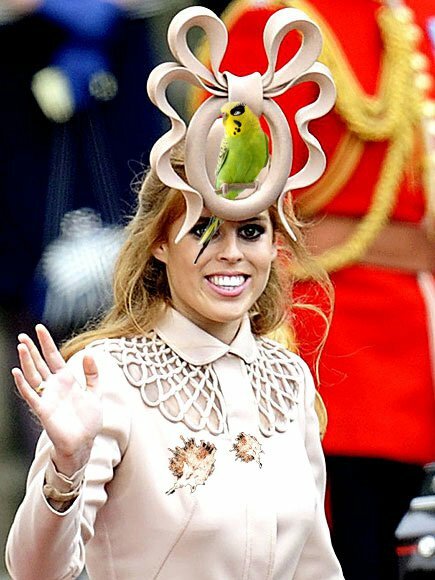 Some commentators have said they think Beatrice is very brave to have the confidence to wear such a hat. 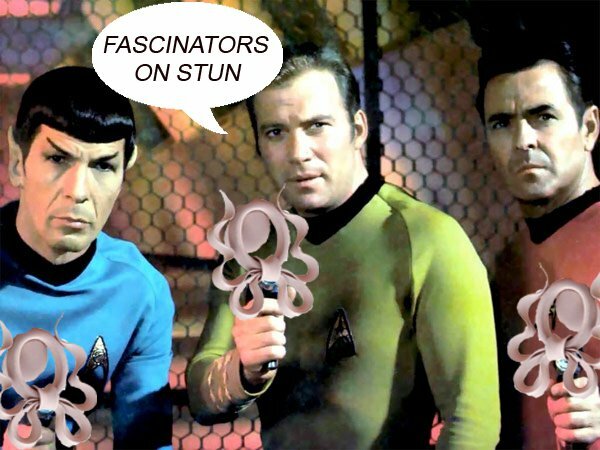 On the other hand, Joan Rivers thought it looked like an IUD.... Oh dear! 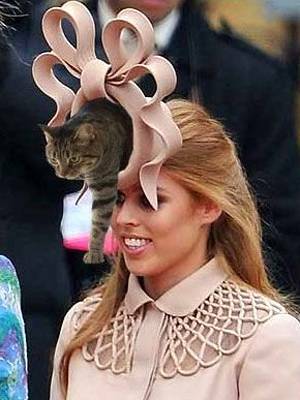 Whatever you think, Beatrice certainly made the headlines, and there is even a Facebook page dedicated to Princess Beatrices Ridiculous Royal Wedding Hat, with over 132,000 "fans" at last count Most of the photos here were posted on this Facebook site - hope you enjoy them as much as I did! I feel sorry for that poor girl, but it was pretty funny! Very funny! 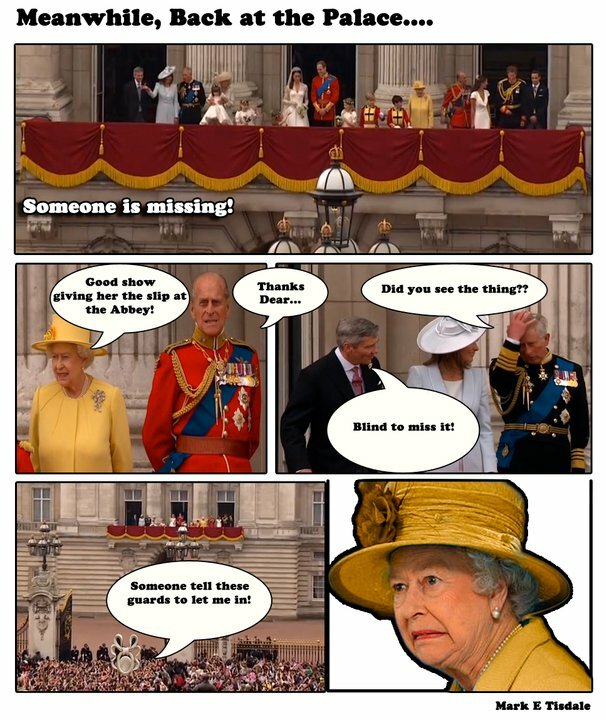 The Queen never seems to have fashion disasters! I haven't seen the Facebook page, so thanks for sharing it. But then - you know what I think because you kindly commented. I could be very wrong, but I had the feeling they were thumbing their noses at everyone because their Mum was not invited. Sorry but hahahahaha. Where was their sense of fashion. Hmmmmm ... maybe she just didn't know how to wear it? Nah, silly me. But you know, her outfit really is pretty, and it's sad that a stupid hat upstaged it. Funny post! That pic of the cat stepping through the hat- too funny for words! I think the rest of the outfit is gorgeous though! Hysterical. Love the cat in the hat! Hilarious post !! Laughed the whole way through ! You have a new follower !